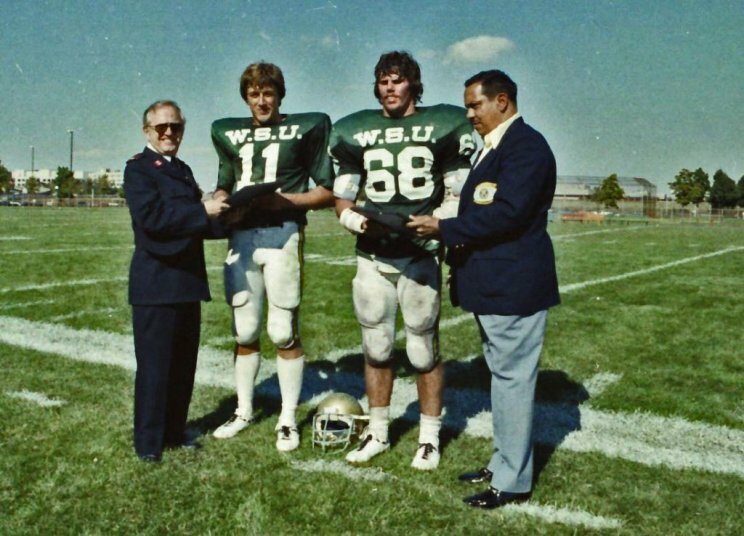 1978 Kiwanis Club Defensive Player of the Year Brian VanGorder won’t need a name tag at his next Wayne State class reunion. He never took off his face tag. h/t Brian Powers. Via Fanbase. Related: Average Auburn student has no idea what Brian VanGorder looks like. There’s no doubt in my mind, VanGorder is the Highlander. The man hasn’t changed in all this time… Crazy.